Now is the time to get your outdoor swing set up. 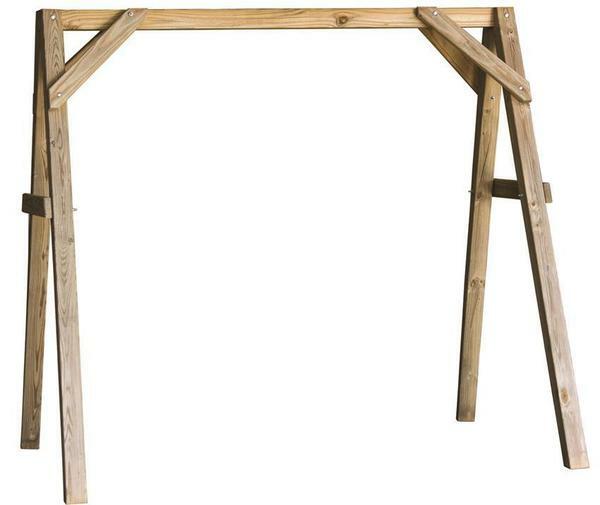 The LuxCraft A-Frame Swing Stand is just the outdoor tool. Amish handcrafted with durable pressure treated pine wood. Fits a 4' or 5' swing. Option to add a roof. Enjoy a quiet evening outdoors in the yard or on the porch with just the right frame to set up your swing.